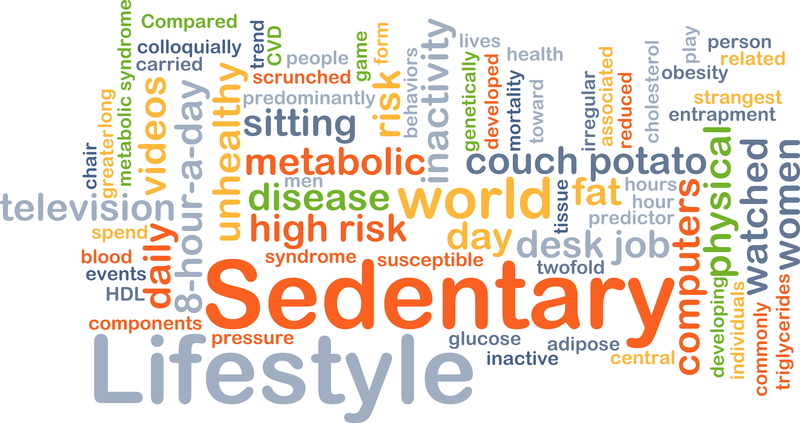 Do you lead a sedentary lifestyle? Beware, while evidence widely suggests that lack of exercise can cause a wide variety of diseases, lack of physical activity was never recognized as a risk factor for cancer — until now. According to Kirsten Moysich, PhD, MS, Distinguished Professor of Oncology in the Department of Cancer Prevention and Control at Roswell Park Comprehensive Cancer Center (Roswell), lung cancer and head and neck squamous cell carcinoma joins a growing list of other cancers and diseases associated with lack of physical activity. Dr. Movsich led a team of researchers to conduct two studies using a large number of Roswell Park patients. The patients completed a questionnaire documenting their level of physical activity throughout adulthood. Researchers then identified patients diagnosed with lung cancer or head/neck cancer and compared them to individuals who came to Roswell with a suspicion of cancer but were determined to be cancer-free. Both studies found that those who reported no history of regular, weekly, recreational physical activity had a higher risk of cancer than those with a habit of at least one regular weekly session of physical activity. “What is significant is that this increased risk was found even in people who had never smoked and were not overweight,” says Dr. Rikki Cannioto, Assistant Professor of Oncology at Roswell’s Department of Cancer Prevention and Control, and co-author of both studies. According to Dr. Cannioto, the results reveal that much like smoking or obesity, lack of physical inactivity is also a risk factor for cancer. Many studies have revealed an association between physical inactivity and cancer, but this is the first to examine lifetime physical inactivity as an independent risk factor. “This different approach allowed us to identify the most sedentary segment of the population that is most at risk,” said Iris Danziger, MD, Clinical Assistant Professor in the Department Otolaryngology at UB’s Jacobs School of Medicine, and study co-author study. Since current reports suggest that the majority of Americans are far too sedentary, these findings are significant. “The link between physical inactivity and cancer was consistently found in both men and women, normal-weight and overweight individuals, and among both smokers and non-smokers,” says Dr. Moysich, who strongly recommends that physical activity be actively encouraged as part of a comprehensive cancer care, survivorship, and prevention program. The lung cancer study was published in Cancer Treatment Research Communications and is available at www.sciencedirect.com. The study of patients with head/neck cancer was published in the European Archives of Oto-Rhino-Laryngology and is available at www.springer.com.